In 1961, journalist Theodore White ushered in a new genre of nonfiction: the intimate presidential campaign diary. 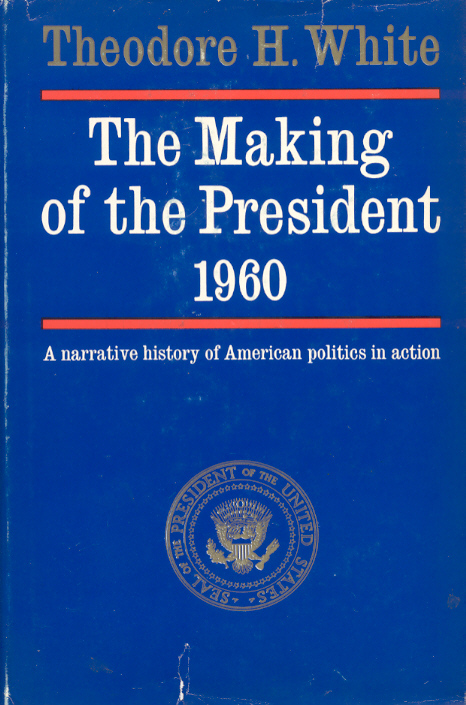 White would win a Pulitzer Prize in 1962 for this book, which, was for the first time, gave Americans an inside look at how presidential campaigns actually operated. Even though most American voters were not so naive to think every aspect of a campaign was entirely noble, this was the first time when people got to see how even the most well-run campaigns often flew by the seat of their pants. Candidates were described with most of their flaws. This book changed the way politics was written about it in the United States. In addition to the small things, White managed to portray the often highly romanticized 1960 campaign in a larger than life style. The race for the White House is portrayed as one of the most important races ever. White’s book was also helped out by the fact that the 1960 race was one of the closest ever and also featured two of America’s larger than life political figures: John F. Kennedy and Richard Nixon.